Bored with your apps, looking for something new? 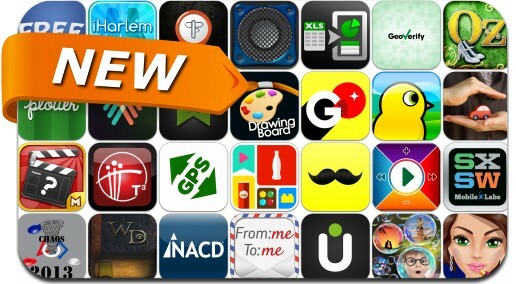 Check out these 32 iPhone and iPad apps that were just released. This new apps alert includes Advanced Drawing Boards, Upgur, Meeting Box, What's the Movie?, Ace Ops: Block Crafted, NACD Mobile, Duck Life, Wahwah, Online Cinema, Block Craft: Iron Ops, GifMill and many others. Stache Cam • Put a moustache on it!